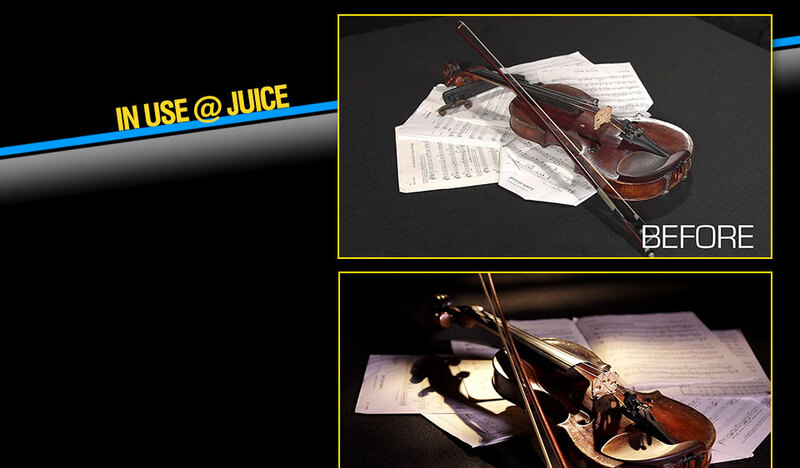 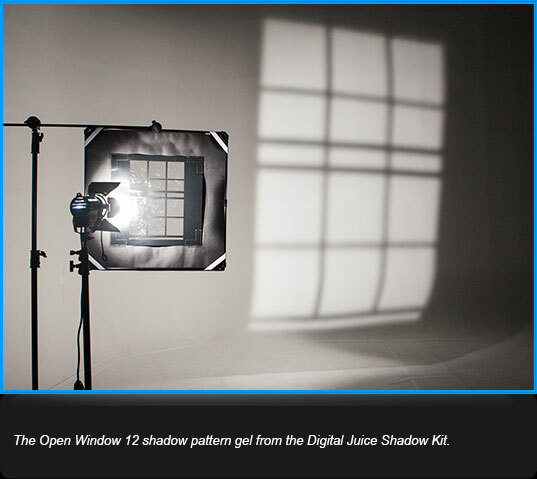 The Digital Juice Shadow Kit is an affordable, portable lighting modification system for photographers and videographers that allows you to quickly create and adjust your scene's mood, style and setting using the magic of shadow patterns. 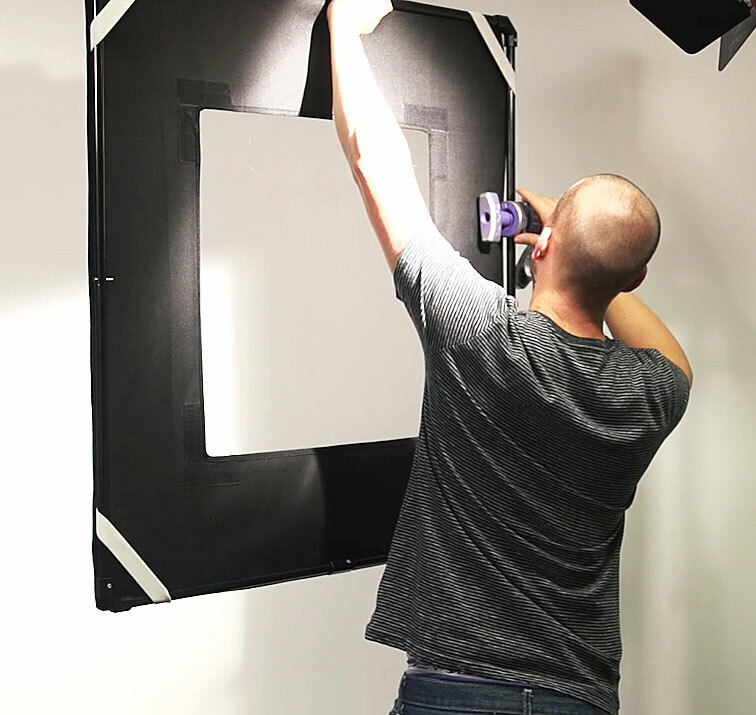 This is especially useful when you need to transform the look of a bland boring space to create the perfect studio lighting and a more visually compelling shot. 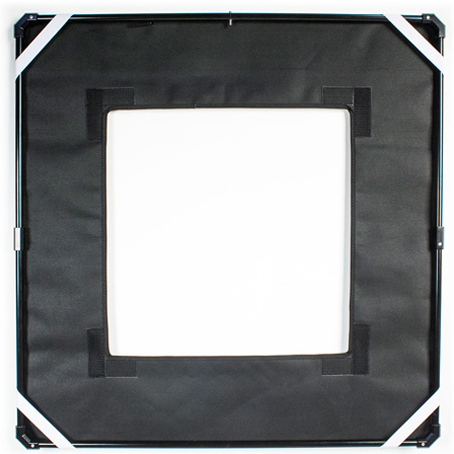 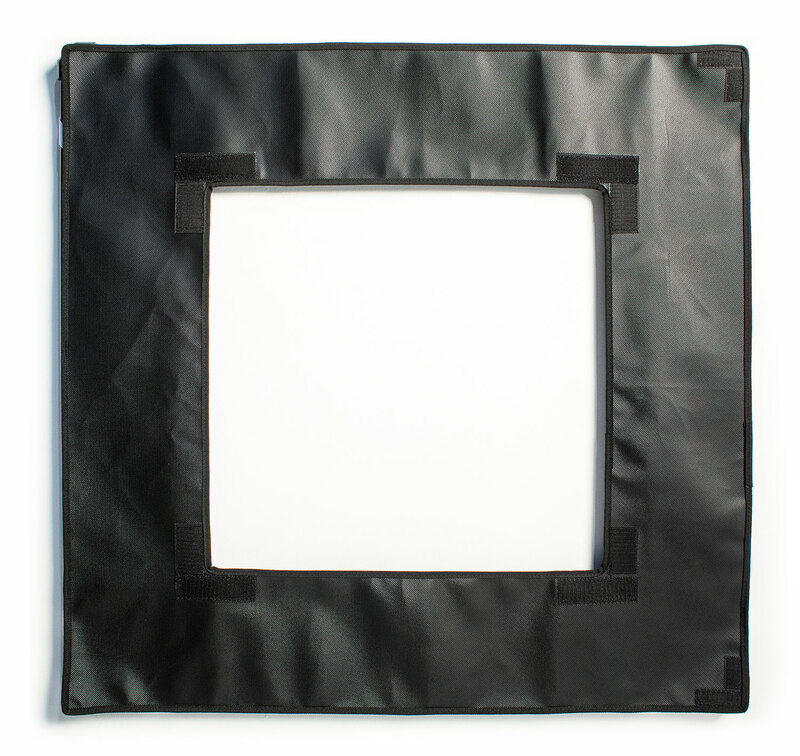 Contained securely within a stylish deluxe carry bag, this light modification kit includes three main components: a 36"-square retractable shock-cord frame, a 35"-square window matte, and ten different 22 1/2"-square shadow pattern gels (also known as cucoloris or 'cookies') that attach to the window matte. 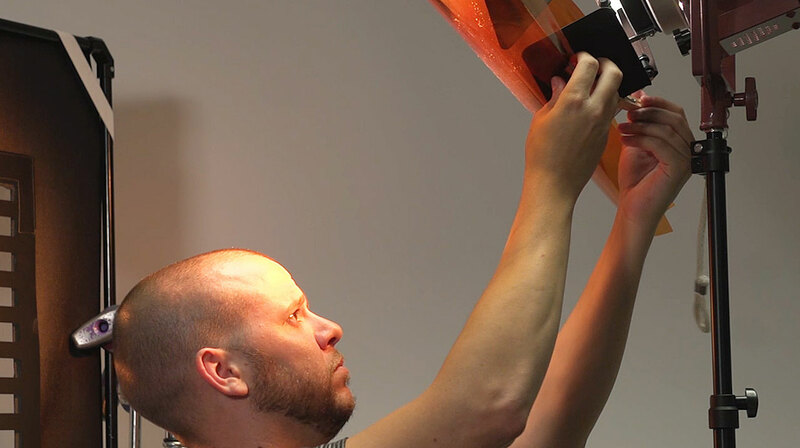 A cucoloris is used to modify your existing lighting setup and to create shadow patterns on your background or subject in the photo studio or elsewhere. 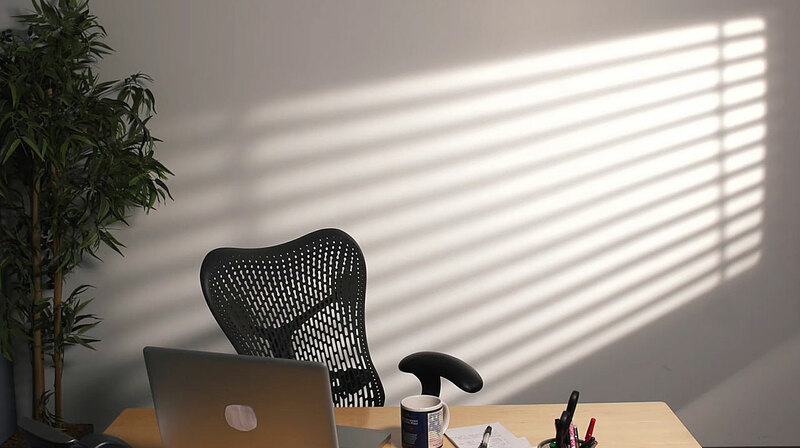 For example, a flatly lit wall can be broken up into interesting areas of light and shadow, mimicking the effect of dappled sunlight through leaves. When placed in front of a light source, our versatile patterned Shadow Kit gels cast a variety of natural-looking shadows onto any background, helping establish the setting, adding depth, and determining the mood for your photo or video shots. 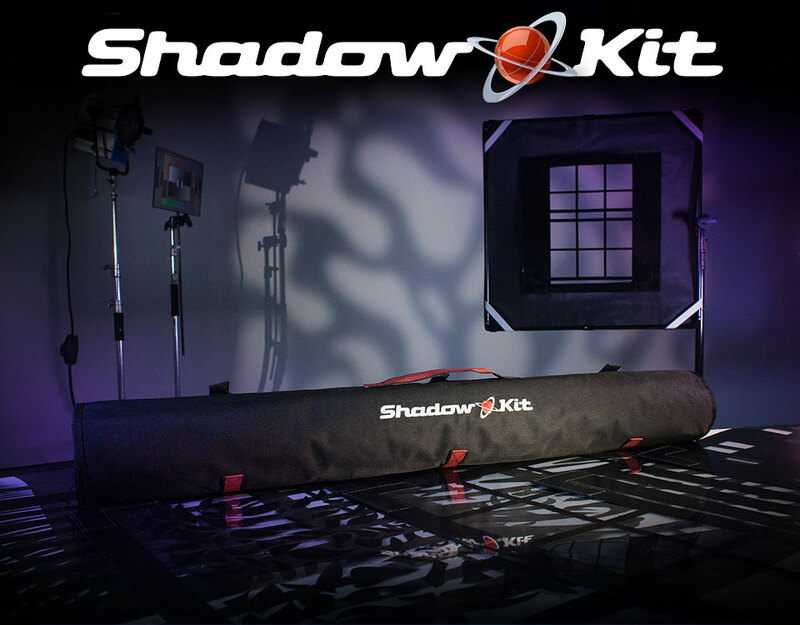 The versatility, portability and small footprint of this kit make it ideal for shooting on location. 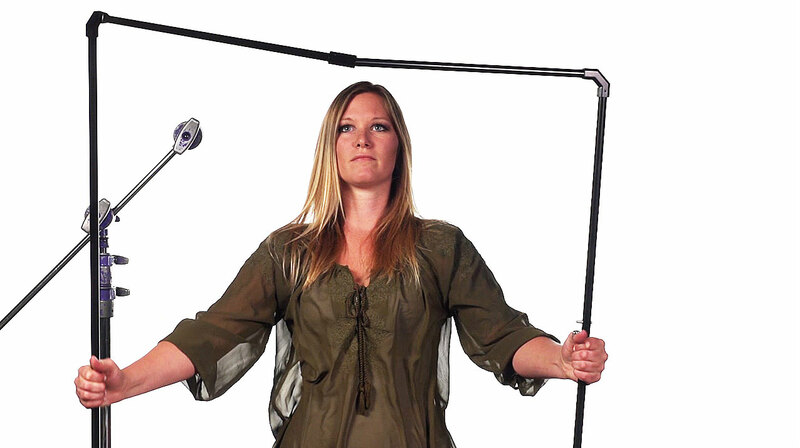 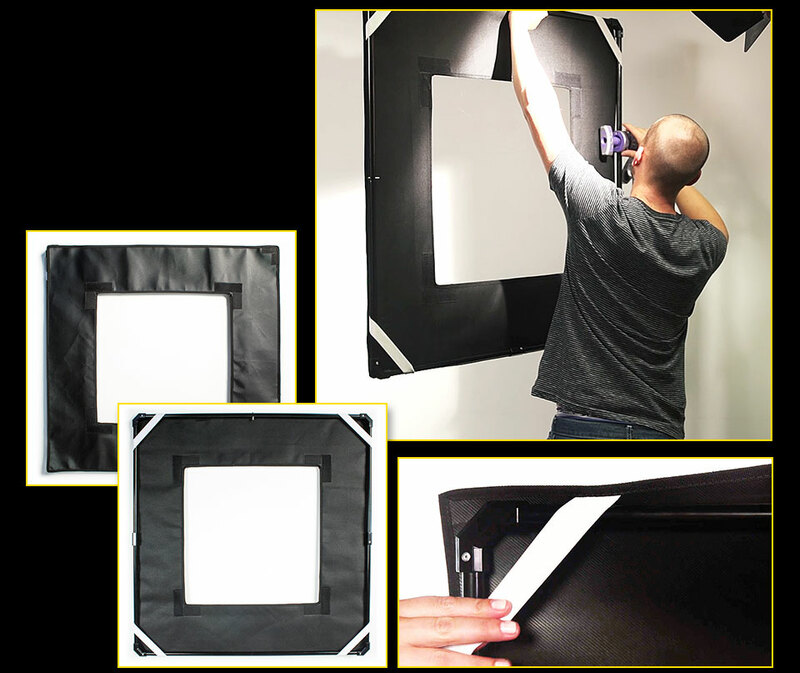 It is lightweight and can also help you breathe life and interest into plain, boring and often static studio or talking head shoots. 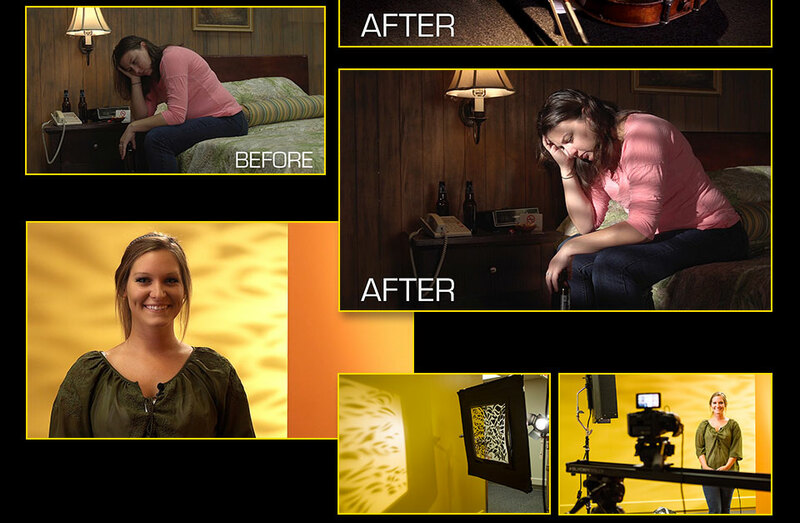 This affordable lighting kit can help you achieve an immediate on-location look, especially when you use more than one shadow pattern for more complex looks, or when used in combination with our Color Correction Gel Kit. 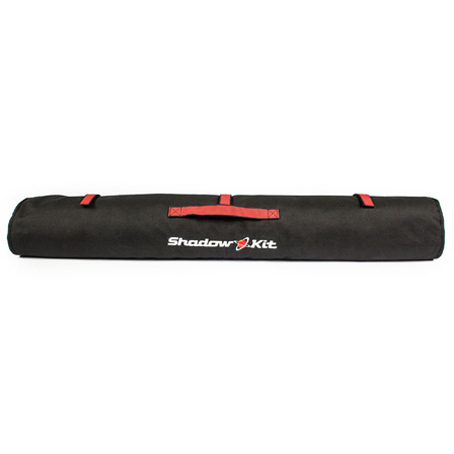 You will find that our Shadow Kit will quickly become a permanent fixture in your grip equipment arsenal. 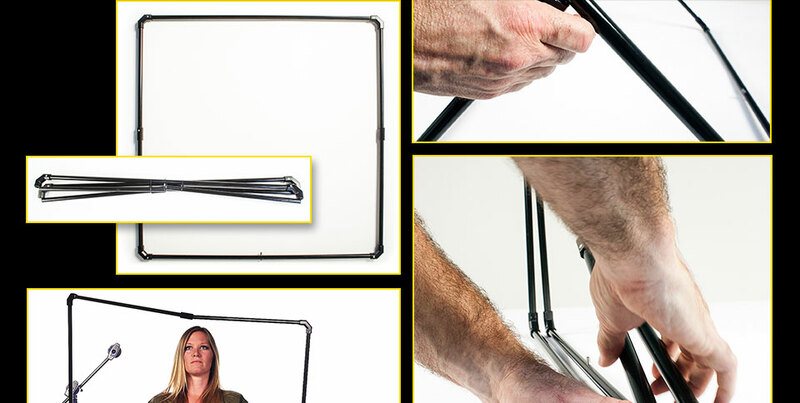 In fact, if you are just starting out, it is a "must have" for building a complete and versatile lighting toolkit for all photographers- beginners and pros. 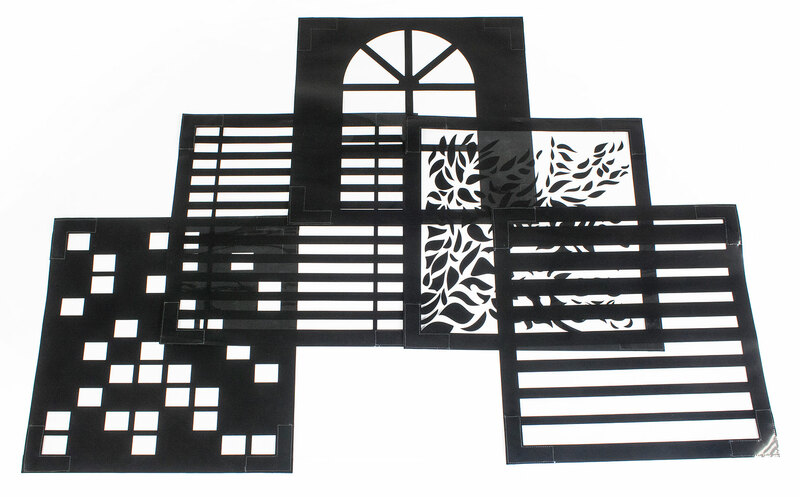 The ten shadow pattern gels include: Horizontal Blinds, Palm Leaves, Palladian Window, Leaf Scatter, Divided Light 16, Cucoloris Ripple, Open Window 12, Tile Grid, Cucoloris Dapple and Graduated Stripes 9. 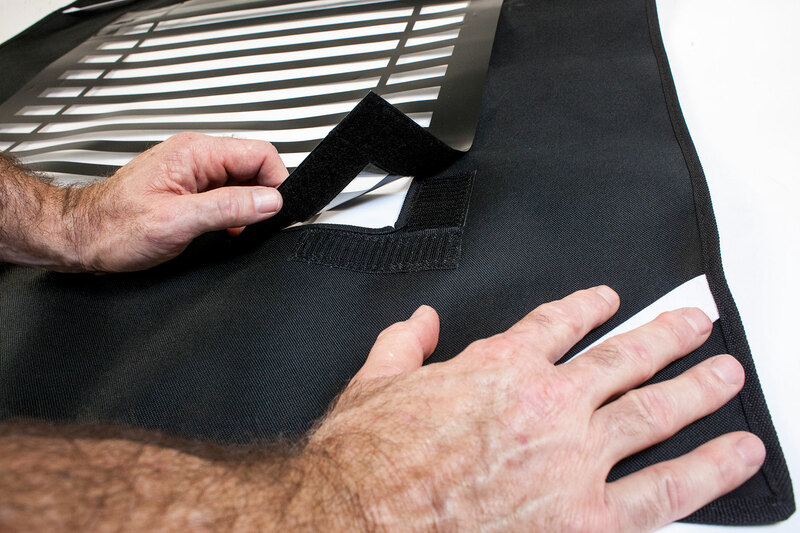 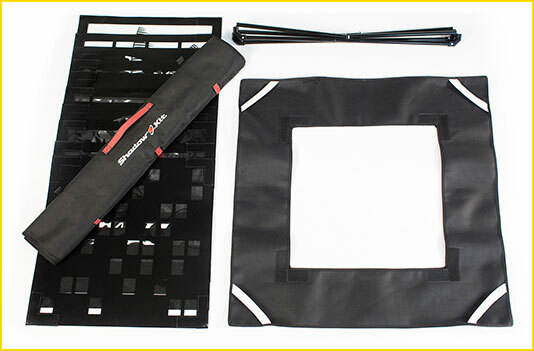 The cookie gel patterns are easily attached to the window matte via the integrated Velcro fabric patches, a feature that comes in handy for testing different looks quickly. 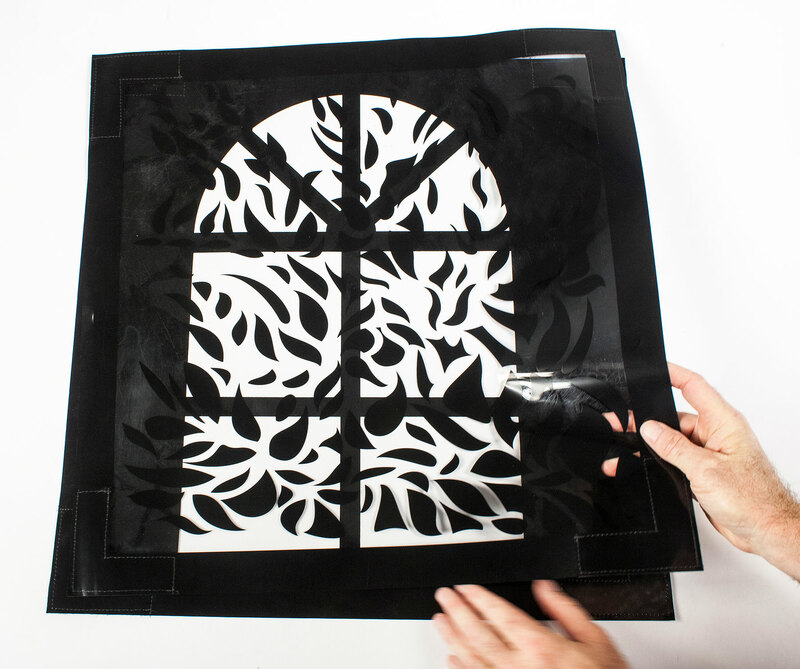 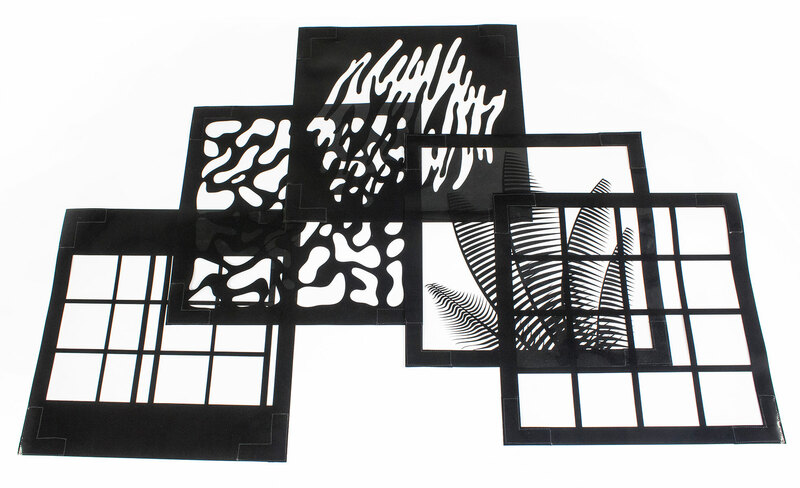 These Velcro attachment points are included on both sides of the window matte's cutout, allowing for two gel patterns to be attached simultaneously for more complex and nuanced shadowing effects. 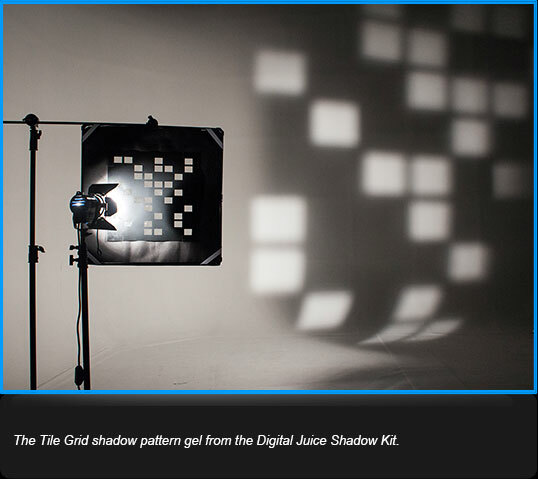 You can also use the shadow gels in conjunction with color correction or diffusion gels to further define mood and tone in a scene. 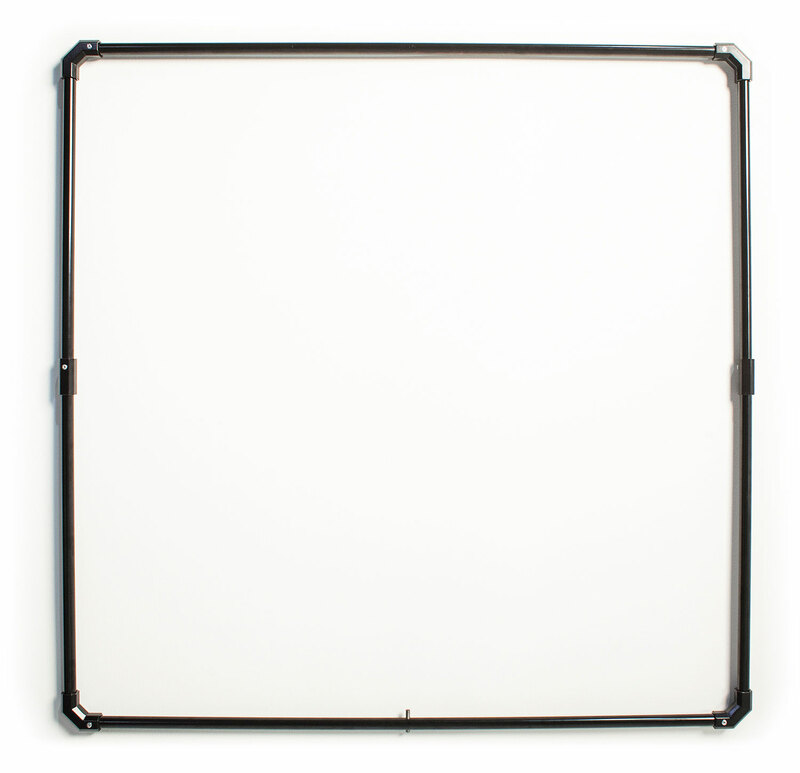 Constructed from durable lightweight aluminum, the four sides of the 36" shock-cord frame are held together by a flexible internal bungee-cord system that allows each connecting rod to be separated and collapsed for storage. 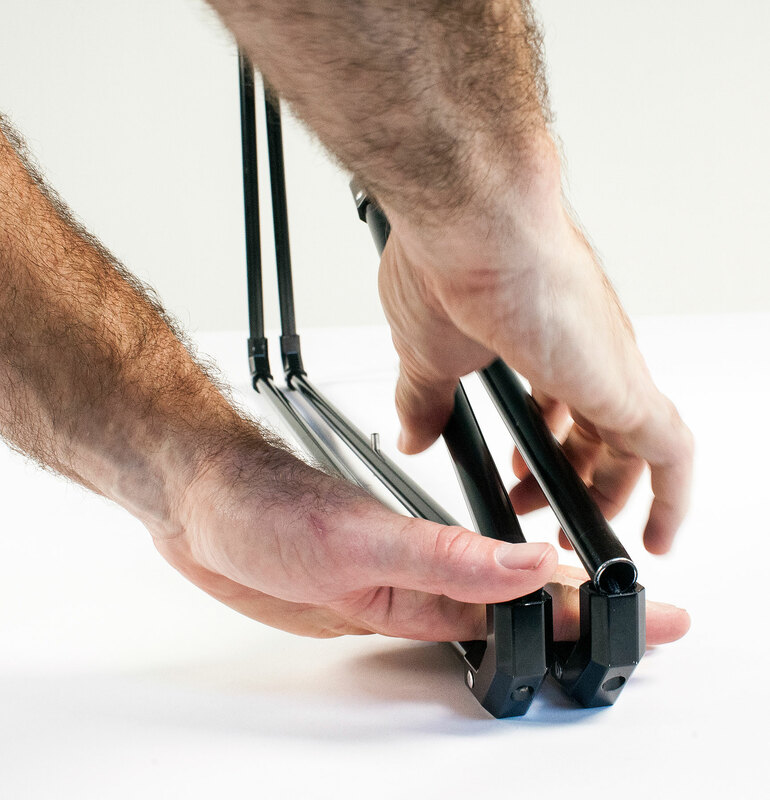 To assemble, just unfold the frame and guide the rod joints into place. 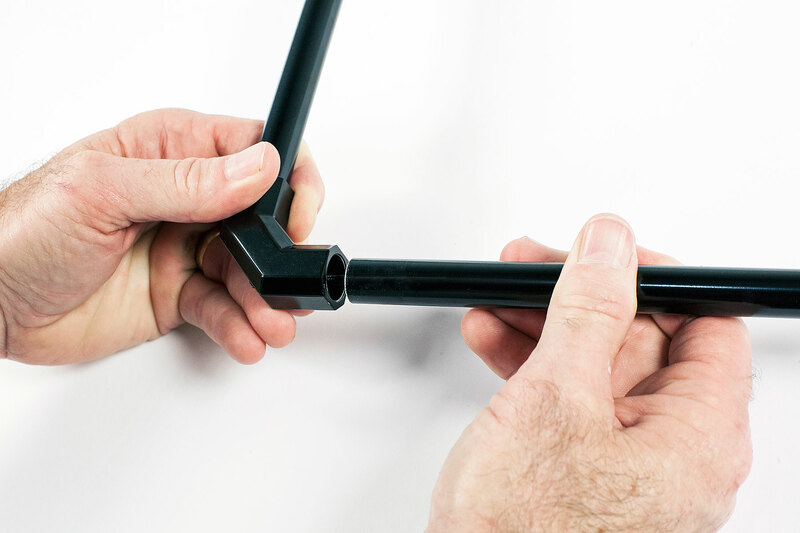 To disassemble, simply pull each joint apart and fold the frame for storage. 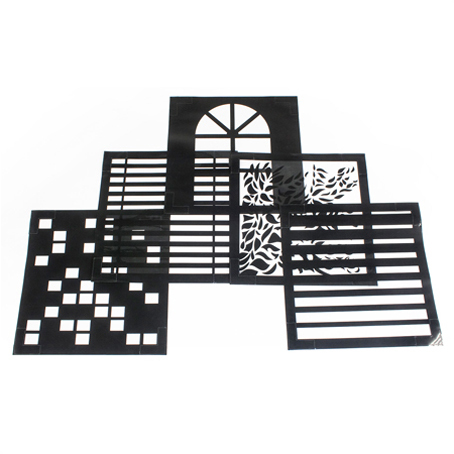 The Shadow Kit's flexible black window matte provides the framework for attaching your shadow patterns. 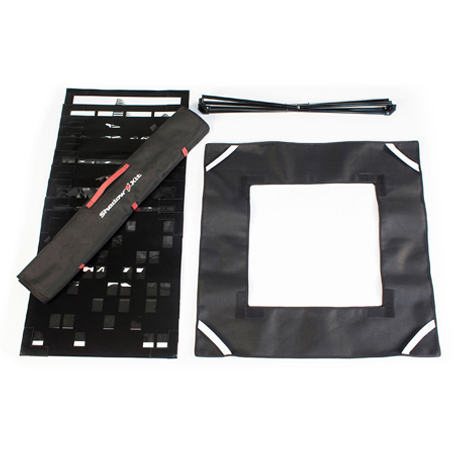 It easily attaches to the shock-cord frame via the thick elastic bands positioned on each of the four corners of the matte. 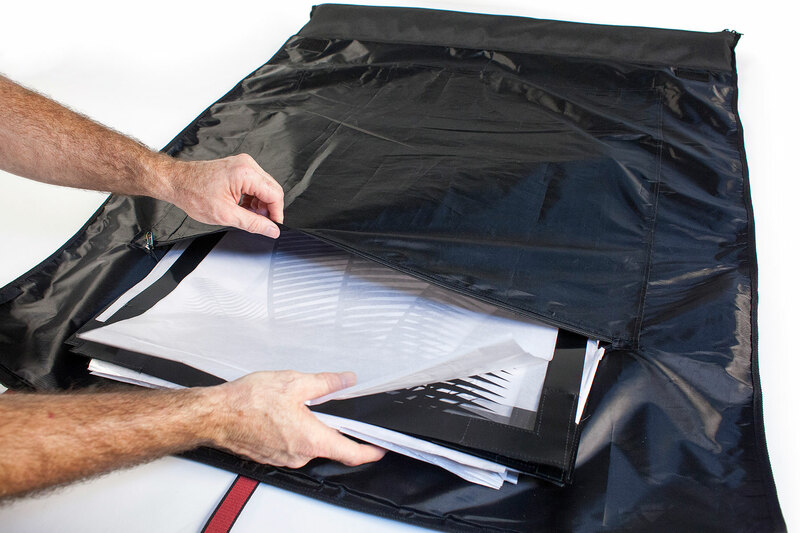 The stylish deluxe Shadow Kit Carry Bag protects and organizes your pattern gels, shock-cord frame and window matte, keeping everything conveniently gathered together in one lightweight easy-carry roll-up bag. 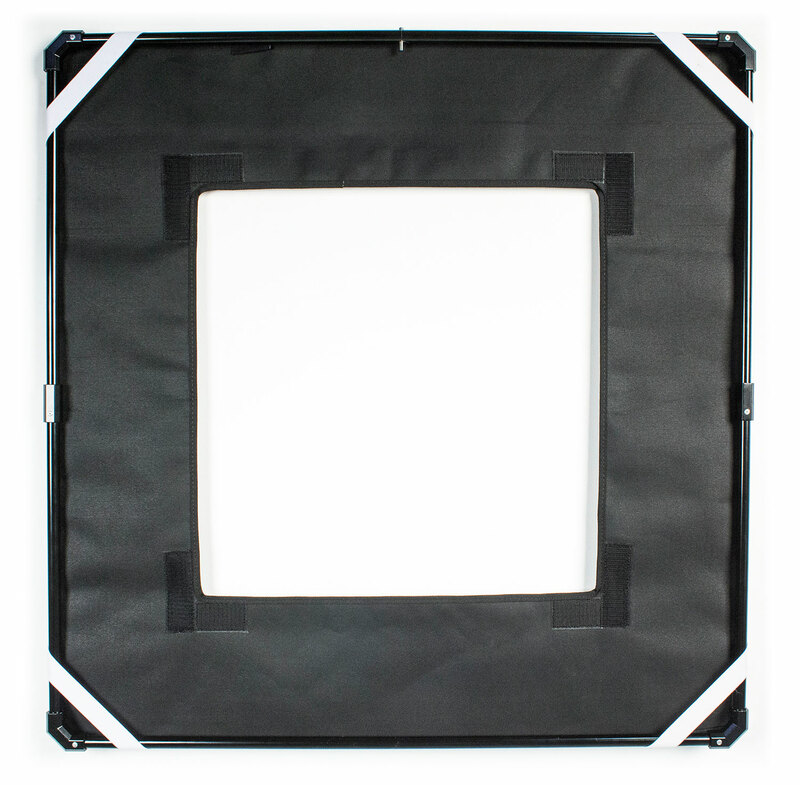 A special zippered pocket at one end is designed to keep the collapsed shock-cord frame handy, but separate from the other components to avoid damage. 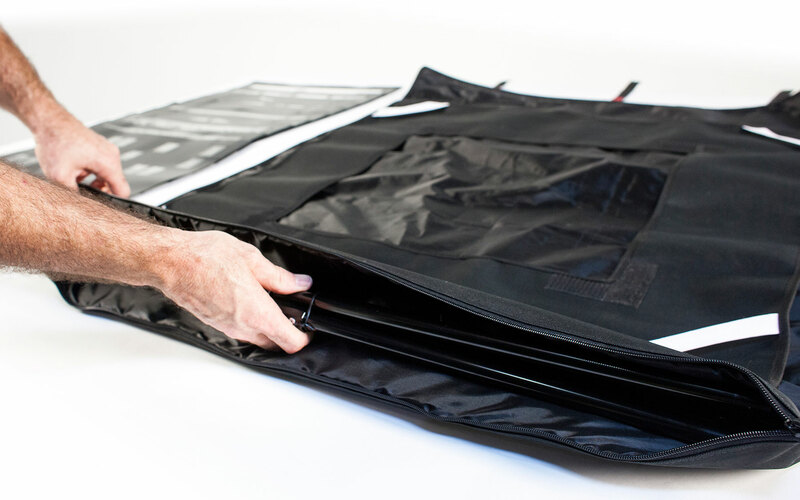 The larger inside zippered pocket holds the 10 shadow pattern gels in place so that rolling the kit up is quick and easy. 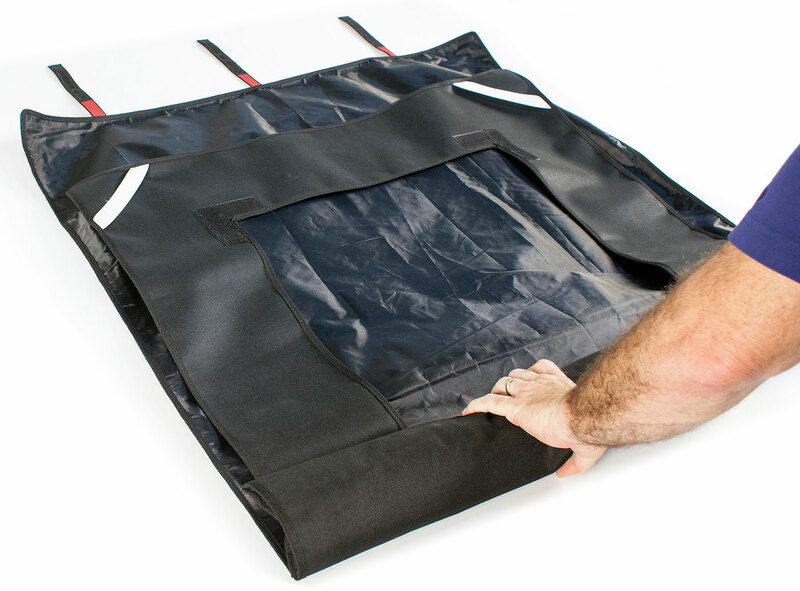 Before rolling the kit back up into its easy-carry lightweight bag, lay the flexible window matte in the center of the unrolled bag. 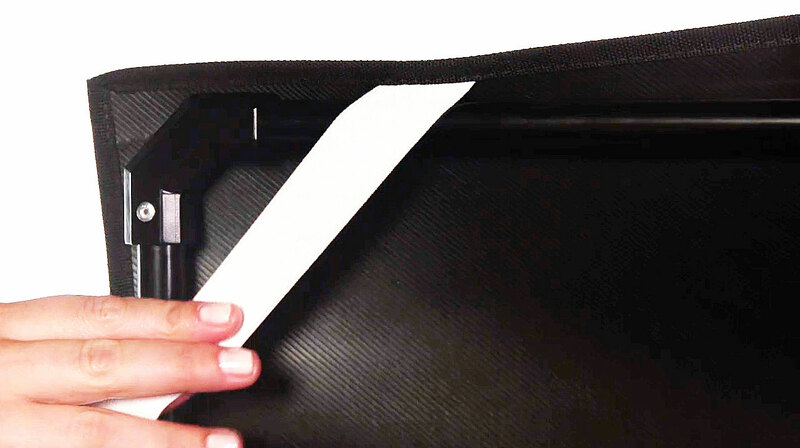 Once rolled back up, the bag secures tightly with three external velcro straps. 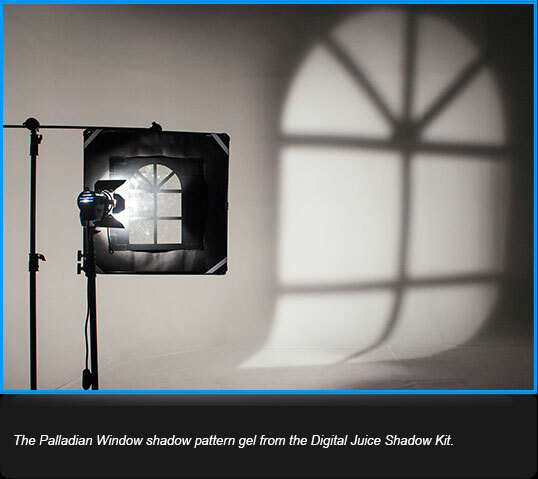 In this tabletop setup, the shadow patterns are overlaid directly on the subject to create a much more dramatic and dynamic mood for the image than lighting alone could achieve. 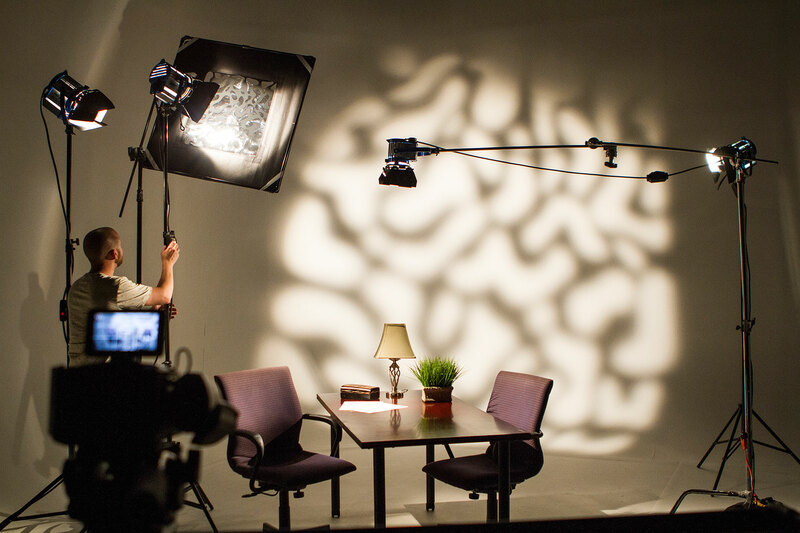 Shadow Kit gel patterns can be used to quickly and easily add an interesting background in a talking head or interview scenario. 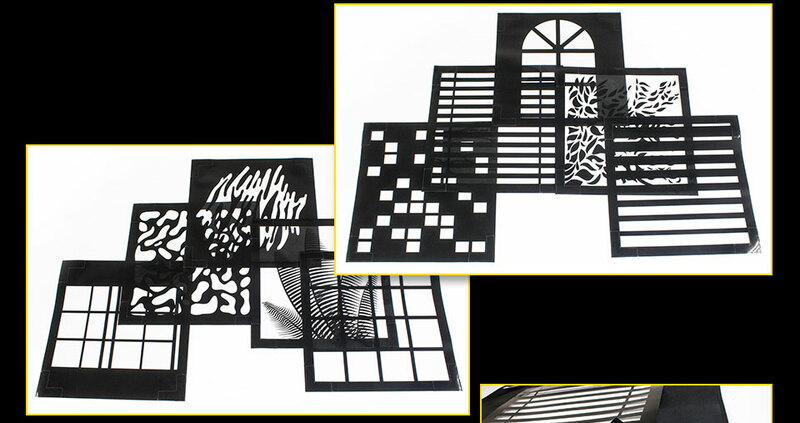 Shadow Kit gel patterns are ideal for breaking up a flatly lit nondescript wall and simulating a more interesting setting. 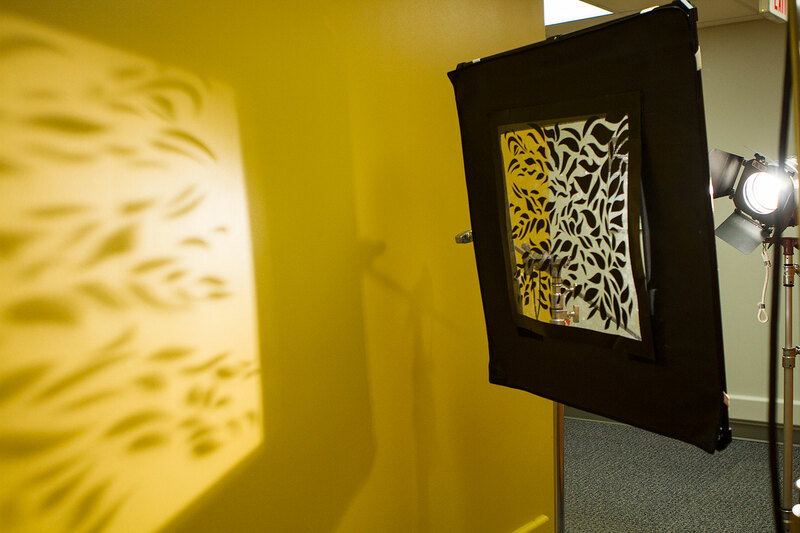 Stack the Horizontal Blind shadow pattern with the Palm Leaves shadow pattern for an instant tropical vibe. 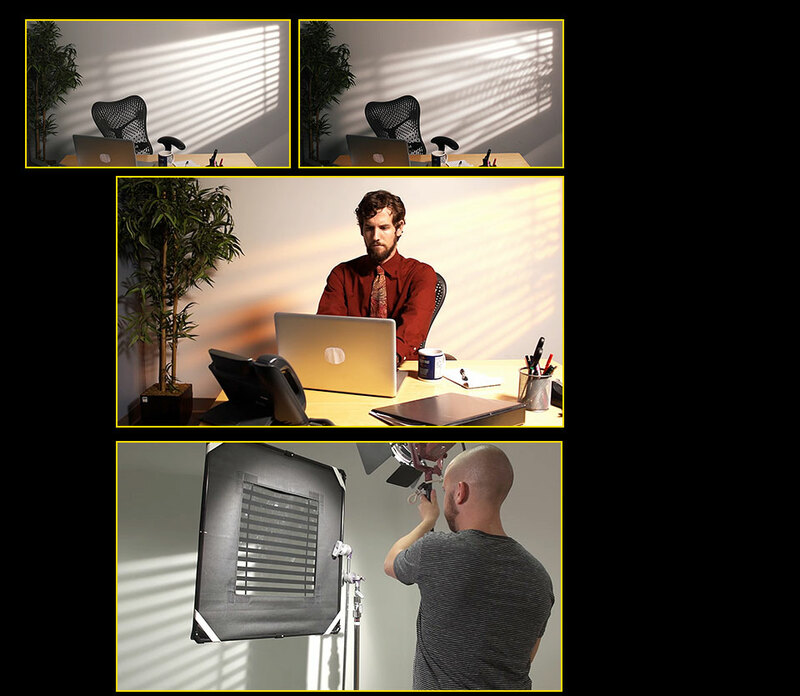 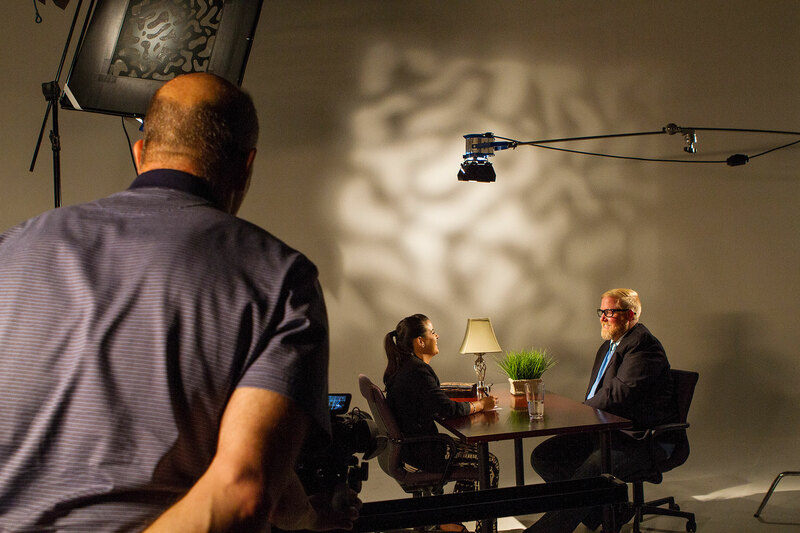 Add a color correction gel to your light in this scenario and you get an even better sense of time and place, evoking the warm sun rays of an early morning or sunset timeframe. 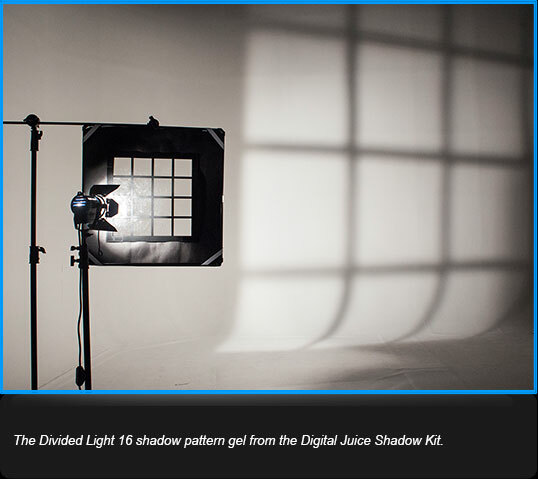 You can create more visually compelling shots quickly and easily with little more than one additional light and a shadow pattern gel. Experimenting with the placement of the cookie and light in relation to your background will give you a variety of looks from soft and diffuse to sharp and dramatic. 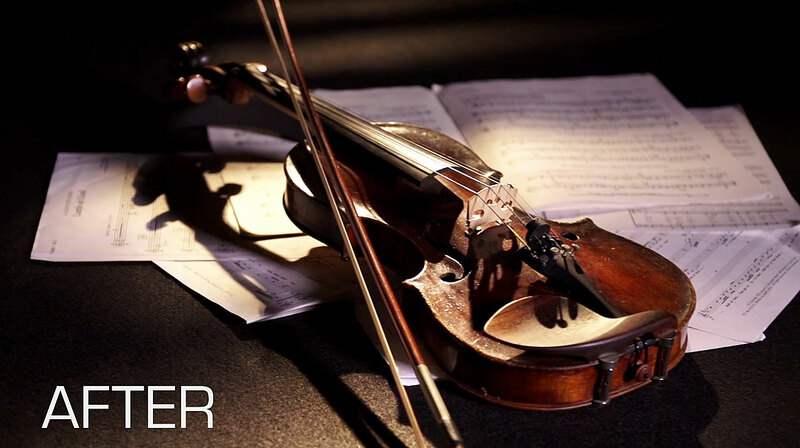 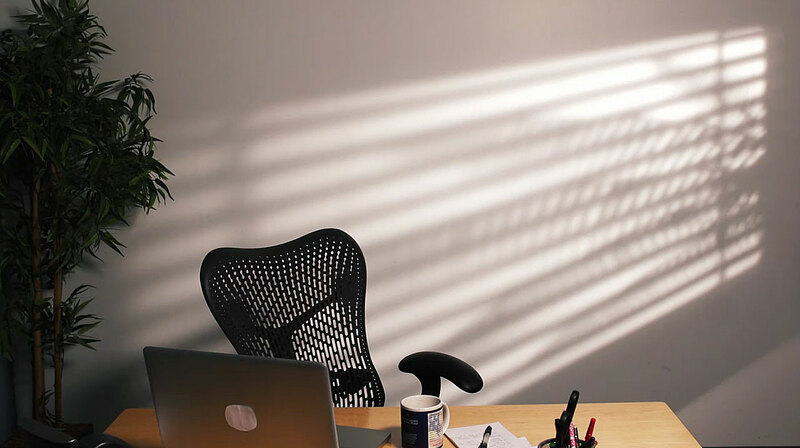 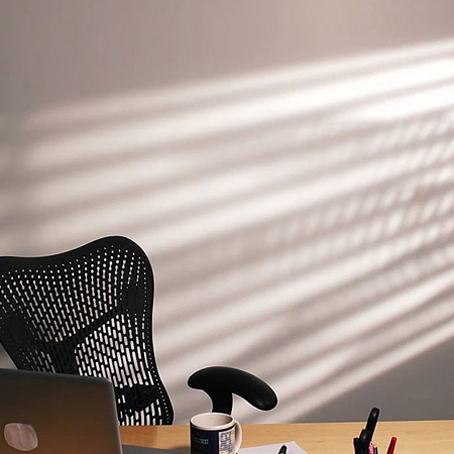 Moving the light closer or farther from the background will change the intensity of the shadow pattern effect. 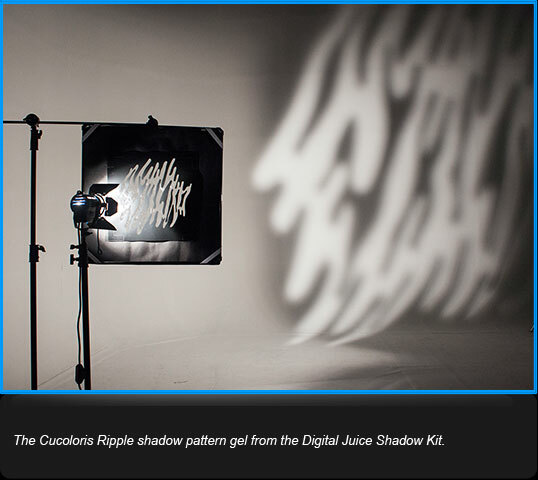 The Digital Juice Shadow Kit is a portable lighting modification system that allows you to quickly create and adjust your scene's mood, style and setting using the magic of shadow patterns. 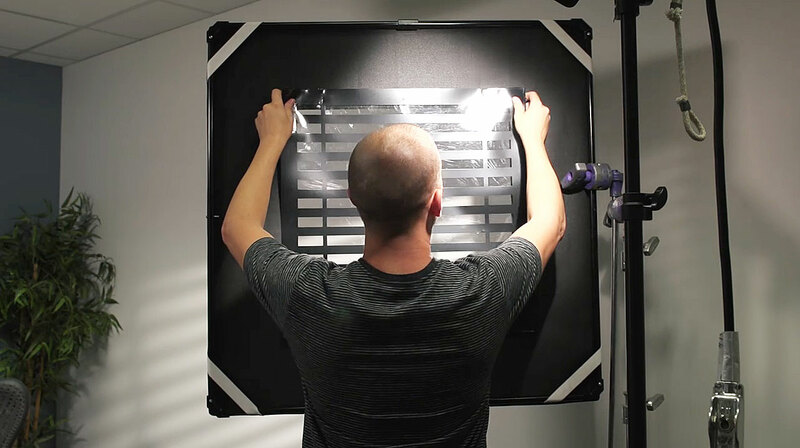 This is especially useful when you need to transform the look of a bland boring space to create a more visually compelling shot. 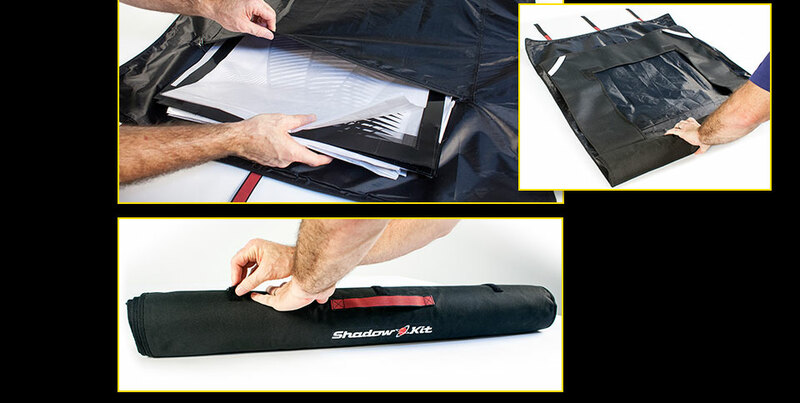 Contained securely within a stylish deluxe carry bag, the Shadow Kit includes three main components: a 36"-square retractable shock-cord frame, a 35"-square window matte, and ten different 22 1/2"-square shadow pattern gels (also known as cucoloris or 'cookies') that attach to the window matte. 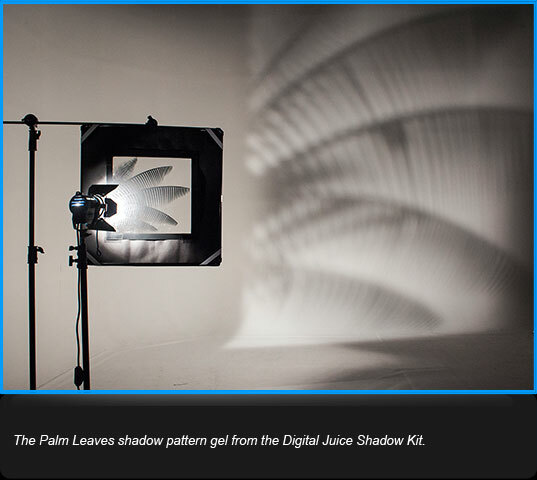 A cucoloris is used to modify your existing lighting setup and to create shadow patterns on your background or subject. 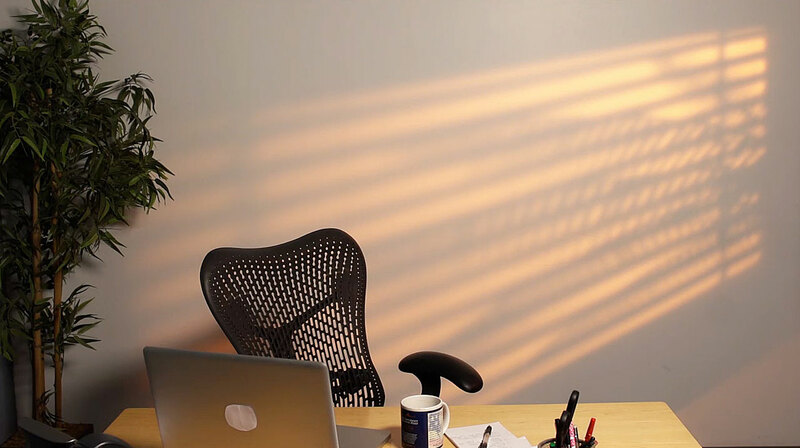 For example, a flatly lit wall can be broken up into interesting areas of light and shadow, mimicking the effect of dappled sunlight through leaves. When placed in front of a light source, our versatile patterned Shadow Kit gels cast a variety of natural-looking shadows onto any background, helping establish the setting, adding depth, and determining the mood for your photo or video production. 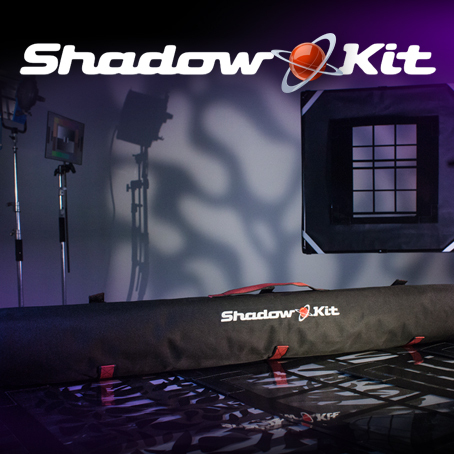 The versatility, portability and small footprint of this kit make it ideal for shooting on location. 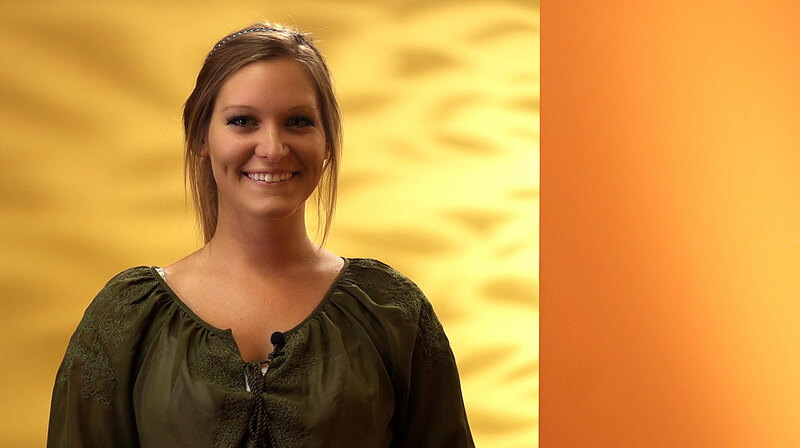 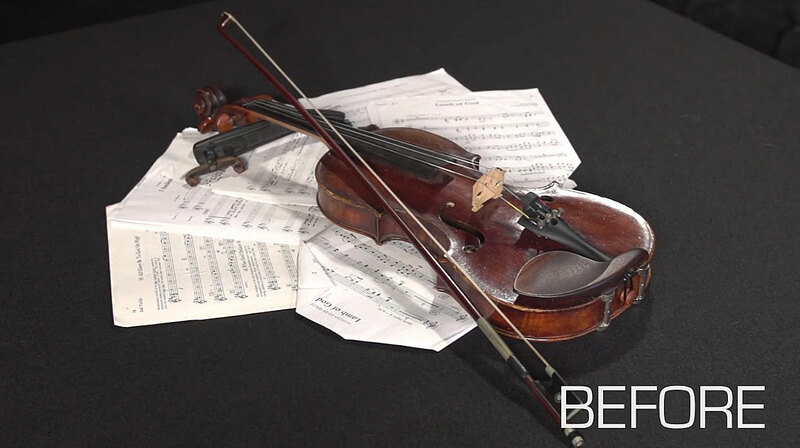 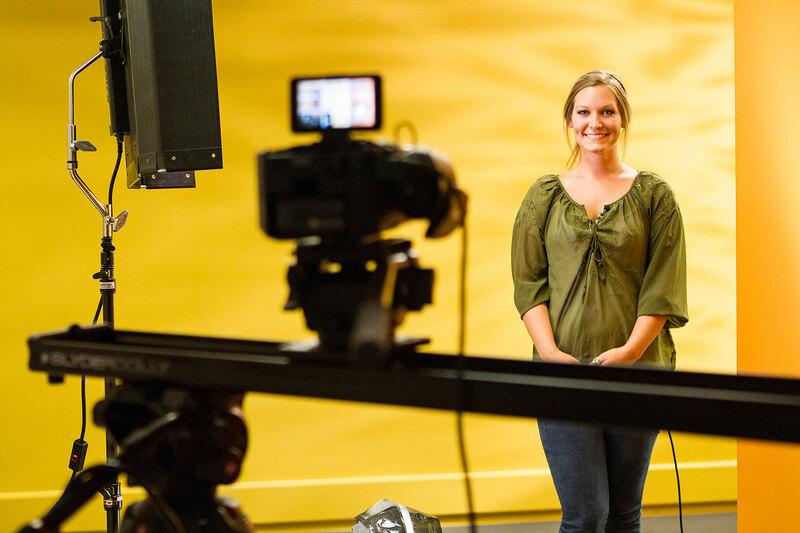 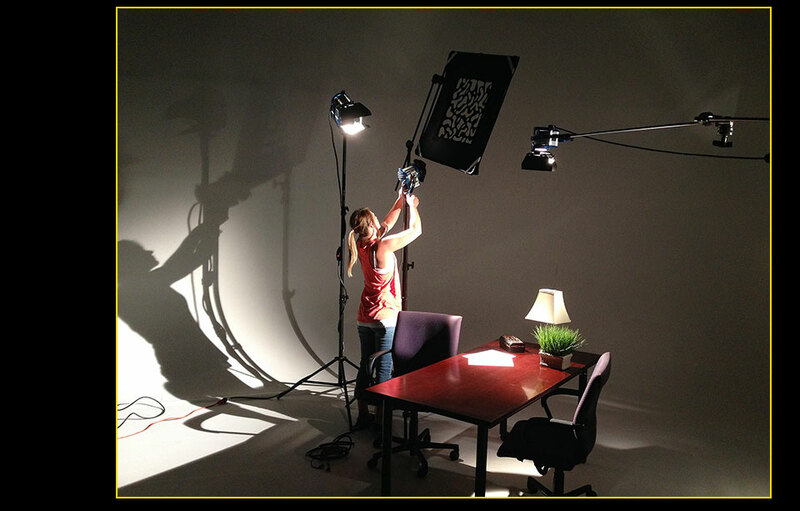 It can also help you breathe life and interest into plain, boring and often static studio or talking head shoots. 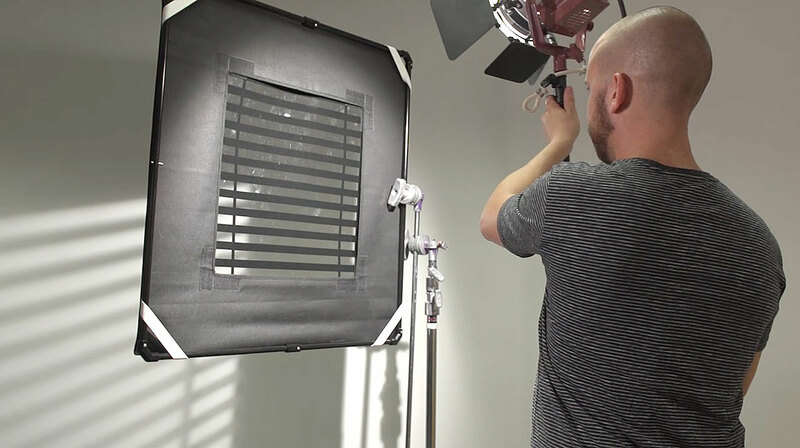 This kit can help you achieve an immediate on-location look, especially when you use more than one shadow pattern for more complex looks, or when used in combination with our Color Correction Gel Kit. 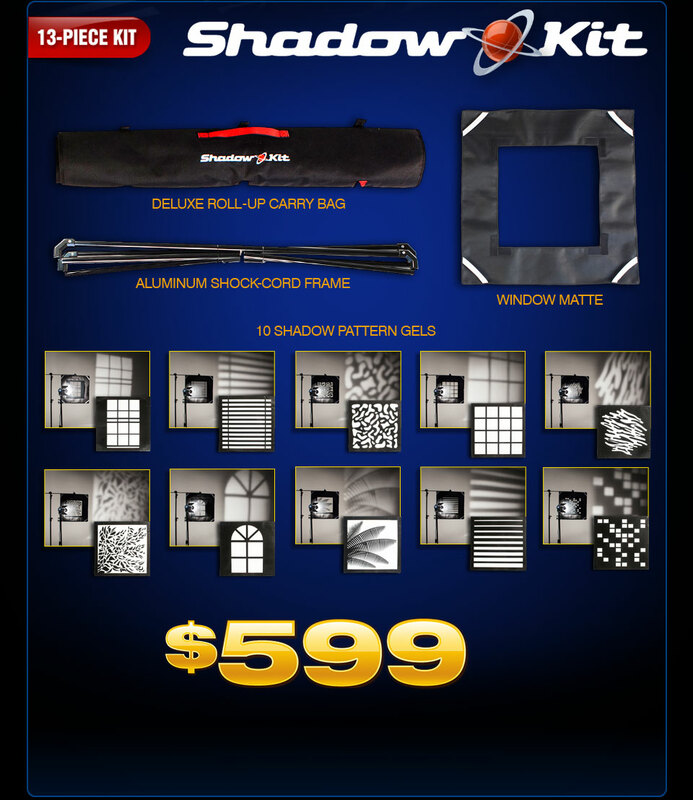 You will find that our Shadow Kit will quickly become a permanent fixture in your grip equipment arsenal. 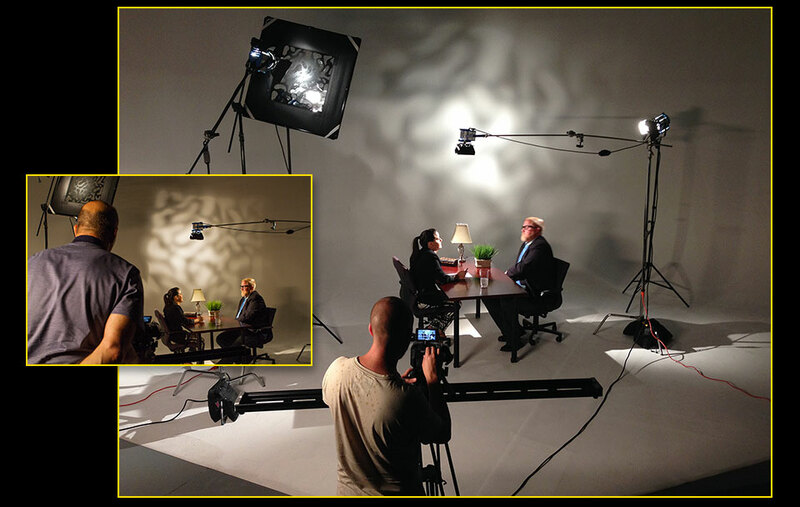 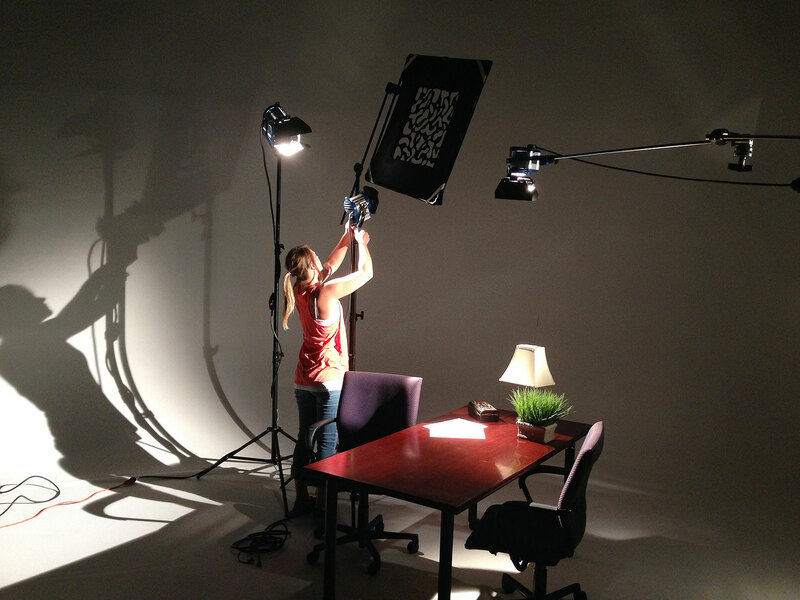 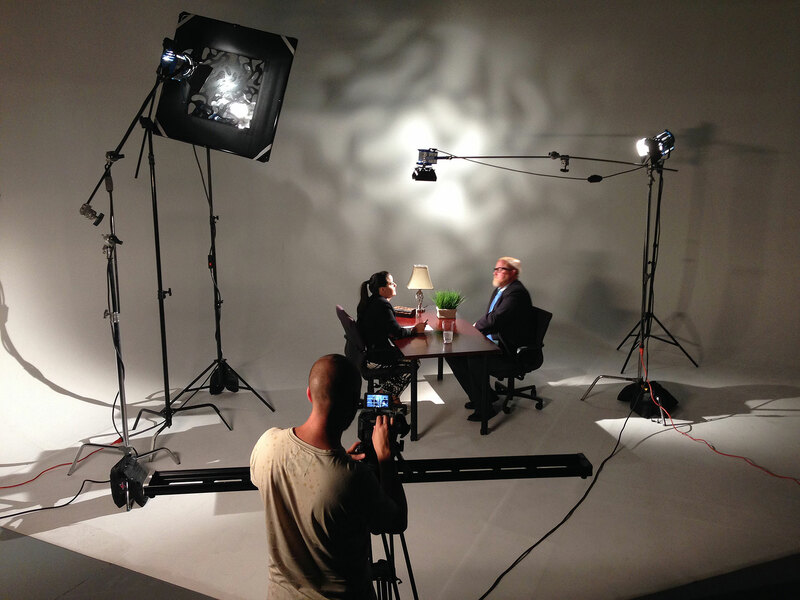 In fact, if you are just starting out, it is a "must have" for building a complete and versatile lighting toolkit.